Live Oak Book Company, 9781936909520, 336pp. Gordon Zuckerman writes his works of historical financial fiction with the informed eyes and ears of an international businessman who has a penchant for history. "As a history buff all my life, with a financial- entrepreneurial career that led me to deal with Congress, bankers, and the Treasury Department, and a broad cross section of American enterprise, I became aware of just how a few powerful individuals can seal the fate of the world, often out of greed masked by political ideals," says Gordon. 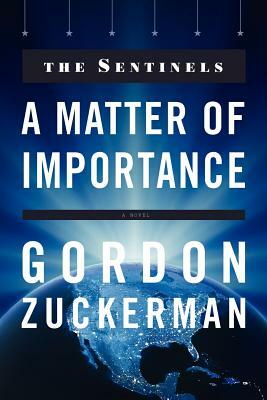 The first two of the author's Six Sentinels series have been published. Zuckerman's books are historical thrillers, written for the college-educated reader of both genders, over the age of forty-the reader who enjoys a well-told story about a well-known event that keeps you informed and on the edge of your seat. The author has been an active participant in the promotion and marketing of his books. He has engaged in more than eighty radio talk show interviews. Articles have been published in local newspapers that have reached more than two million readers. He is a regular participant in commercial and charitable book signing parties. More recently, he was asked to speak on the topic of "Entrepreneurial Leadership" at the University of Pacific's Winter Business Forum. Born and raised in a long-time asparagus and potato farming family in Stockton, California, he earned a BS in Mechanical Engineering from the University of California and an MBA from Harvard Business School. Mr. Zuckerman, early in his business career, worked for an international real-estate development company. A charter officer, he created a nationwide joint-venture development division and provided the interfacing between some of our country's more entrepreneurial developers and New York's investment community. In 1985, he organized Resort Suites of Scottsdale, a nationally recognized golf-resort hotel company, and in 2005, sold his company to a New York investment fund and retired. He currently serves as a director of The Brubeck Institute and several private companies. He resides with his wife, Anne, of fiftyone years, on their ranch in Northern Nevada. They have two children, four grandchildren, two Irish setters, and two horses.